A subluxation is defined as a partial dislocation of any joint in your body. It differs from a complete dislocation in that the two bones making up the joint are still in contact, just slightly shifted. Subluxations in your spine (vertebral subluxations) occur as a result of injury, bodily stress, over-stretching or insufficient collagen production. They can diminish the nerve communication throughout the body and spine while also hindering your mobility. Chiropractic care identifies these areas of subluxation along your spine and seeks to correct them through structural adjustment. 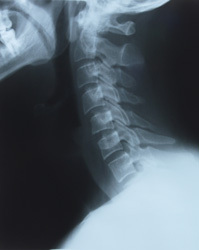 Importance is placed on the removal of subluxations because of your spines close relationship with your nervous system.